Because we feel strongly that we can’t simply call for moms to be less judgmental without giving them any advice on how to actually do that, we wrote this guest post for Moms Uniting Moms titled Judgement-Free Motherhood Starts Within. We ALL have the power to change the way we think and it begins by simply noticing our judgments as they arise. What you then do with that thought/judgement is up to you – hold onto it and feel that negativity or let it go in the spirit of sisterhood. In March of 2014, we collaborated with The Bump on a special Moms for Moms Day (#moms4moms). The purpose of this day was to encourage moms from across the world to upload photos of themselves holding supportive statements for other moms via social media. The day was absolutely wonderful. Click over to read more about it and see some inspiring, loving photos! We also have an entire page on our site devoted to mommy-related confessions (also a judgement-free zone!) and have a special spot where you can get (and give) a virtual hug. We’ll keep posting great stuff on Facebook & Twitter about the importance of viewing fellow moms from a lens of compassion so make sure to follow us there as well! If you have your own blog, consider grabbing our badge and posting it on your site in a show of support! Here are a few more photos from our popular “End the Mommy Wars” photo shoot for you to enjoy. To see all the photos check out this post. To see the entire gallery click here. All photos taken by the incredibly talented Jean Molodetz from I View Photography. 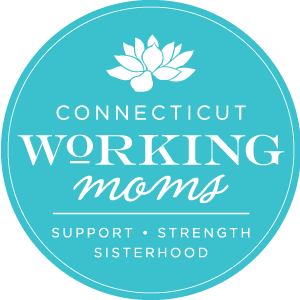 Images may not be republished without the consent of CTWorkingMoms.com.